The 2018 election saw a record number of women running for office and winning, changing local, state, and federal legislatures for the better by running on thoughtful platforms and transforming governing bodies to become more representative of diverse American families and interests. 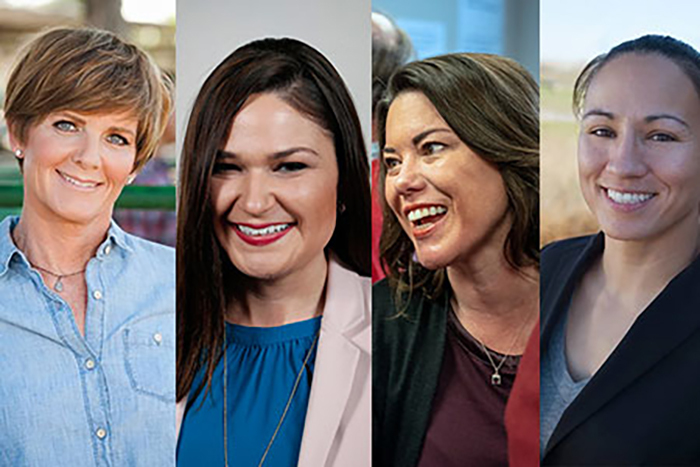 As of the morning after the election, it is projected that 98 women will serve in the House, breaking the previous record of 85. This was particularly evident when it came to issues on the environment and climate change. Women offered bold climate and environmental solutions while rebuffing the Trump administration’s attacks on public health safeguards. With more women in leadership, Americans can expect policies that prioritize keeping people and families safe and protecting our world for generations to come. In one of the most competitive and expensive Senate races in the country, Jacky Rosen took on incumbent Senator Dean Heller. Clean Air Moms Action was proud to support Jacky Rosen, launching a $500,000 statewide ad campaign highlighting Dean Heller’s record of putting polluter special interests over the health of Nevada’s children and families. Jacky Rosen is a proven fighter for our children, supporting policies for cleaner air and healthier communities. Lizzie Pannill Fletcher ran for Congress in this Houston-area district that has seen the impact of climate change first hand. In 2017, Hurricane Harvey brought severe flooding to the district. And before Harvey, flooding in Houston was becoming all too familiar, due in part to a changing climate. Incumbent Congressman John Culberson is a climate skeptic, who does not recognize man-made climate change. Lizzie Pannill Fletcher understands the risks of a changing climate, and has forcefully spoken about the need to take action. Angie Craig is ready to step up and tackle climate change through “common sense initiatives.” Common sense was often lacking from her opponent Jason Lewis, who spouted conspiracy theories about climate science and took tens of thousands in campaign contributions from polluter special interests such as maximum allowable donations from Koch Industries, and voted to damage clean air and clean water protections while in Congress. Angie Craig recognizes that climate change can be combatted while boosting our economy, protecting our families, and maintaining America’s status as a world leader for innovation and energy. Abby Finkenauer has already proved in the Iowa House of Representatives that she is a champion for our environment and climate. She sponsored a bill to include Iowa in the U.S. Climate Alliance and regularly fought for clean energy, clean air, and clean water. Iowa has a burgeoning wind energy sector that Abby is sure to support. When it comes to the environment, Abby stands in stark contrast to the man she defeated, Rod Blum, an admitted climate denier who did the bidding of the fossil fuel industry while in Congress. Sharice Davids, the first LGBTQ Native American woman in Congress, knows that protecting our environment and natural resources is necessary for our planet and economy. Representing Kansas, Sharice knows that the state is poised to capitalize on wind energy, so we can count on her to support measures that help states realize their full renewable energy potential In Sharice, Kansans have a representative who acknowledges climate change and will fight to keep air and water clean. 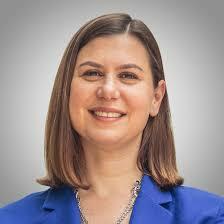 Elissa Slotkin knows that a clean environment is an essential part of a strong economy and our national security. Elissa opposes drilling in the Great Lakes and, as a former defense and intelligence officer, she recognizes the threat that climate change poses to national security. Elissa is ready to get serious about climate change and the threats that our environment currently face. Having defeated a climate denier, Elissa is another critical voice in Congress for the best interests of our children and grandchildren. 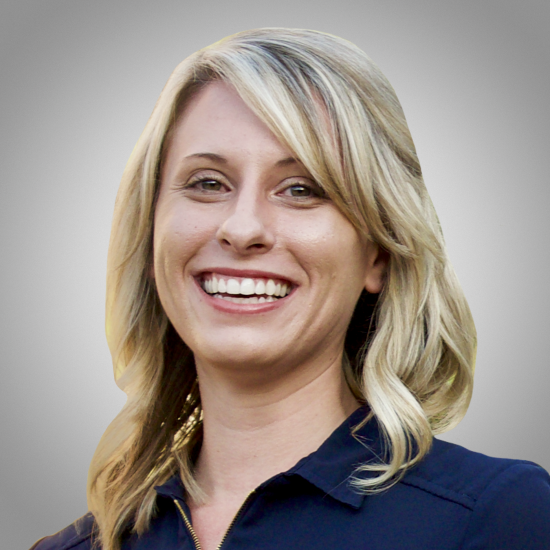 *As of posting, Katie Hill is leading Steve Knight, with mail-in and provisional ballots still to be counted. The relentless attacks being unleashed by the Trump administration on clean air protections and climate progress can no longer go unanswered. With this class of women leaders, we know they won’t. Paid for by Clean Air Moms Action, www.cleanairmomsaction.org, a project of Environmental Defense Action Fund, and not authorized by any candidate or candidate’s committee.